This cliff top pool club serves up the best Spanish style tapas. Head here for sunset and you won’t be disappointed with the view or the sangria! It gets our vote as one of the coolest island venues for a hen party. 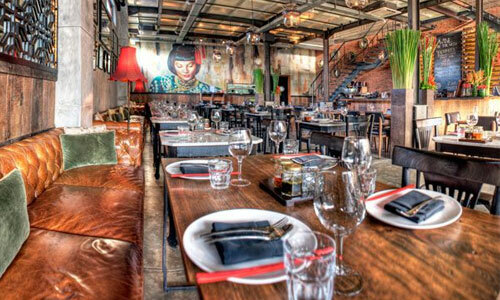 La Lucciola is right on Petitenget Beach in Seminyak and has a cool Bahamas vibe. Spectacular views, first class service and an amazing menu, make this a popular spot for breakfast, brunch, lunch and dinner! Ideal for a hen party brunch or pre-wedding dinner, kick back with a cocktail and enjoy the view. 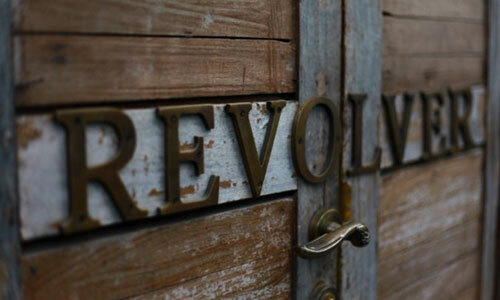 Without a doubt Revolver coffee is some of the best on the island and their breakfast and lunch menu won’t disappoint you either. Perfect cure for the morning after a hen or buck’s party or for filling your stomach before the festivities begin! Ryoshi is one of our all time favourite Japanese restaurants here in Bali, with an extensive menu that will please the whole family. 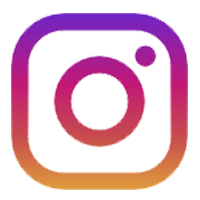 At the Seminyak branch enjoy live Jazz on Monday, Wednesday and Friday nights. We recommend drinking the chu-hai! The ultimate indulgence! 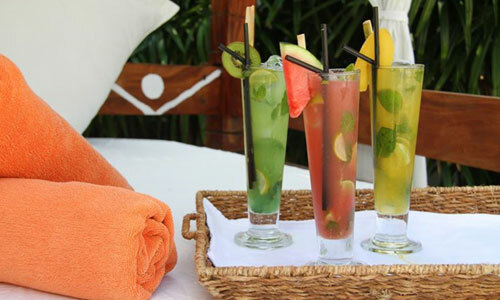 Think free-flow refreshing cocktails, champagne, wine and all you can eat delectable dishes from around the world. 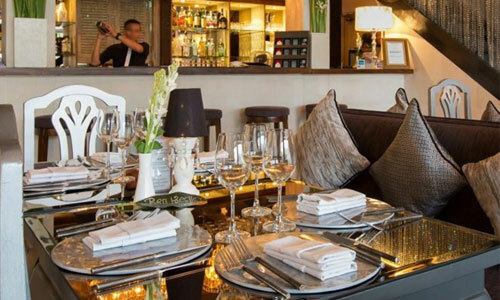 After brunch enjoy the beach club at this Nusa Dua resort. A very decadent Sunday will be had by all for a fraction of what you would pay back home! 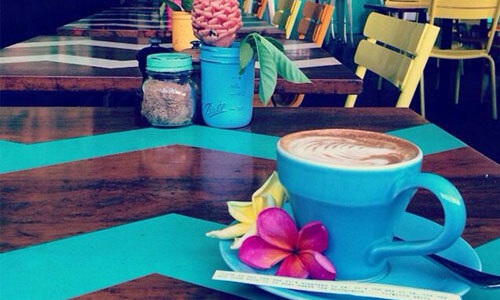 While Sea Circus in Seminyak is a bustling café from open until close, with different menus for different times of day, we can highly recommend checking them out at breakfast time, especially if you’ve had one too many the night before. Order their hangover cure breakfasts to get you back on track! And their Bloody Mary’s are to die for. You’ll feel so much better you’ll be ordering their amazing jugs of cocktails before you know it! 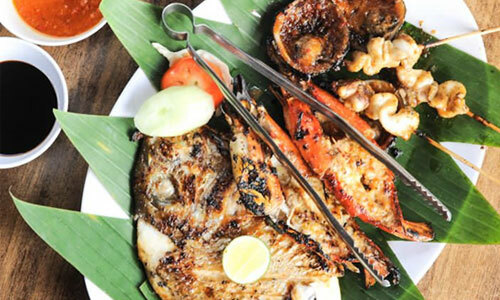 Seafood BBQ restaurants sit all along the beach at Jimbaran serving up the freshest and biggest variety of seafood from the Jimbaran fish market. 100’s of candles light up the beach making this a really beautiful spot, and an absolute must for dinner during your trip to Bali. 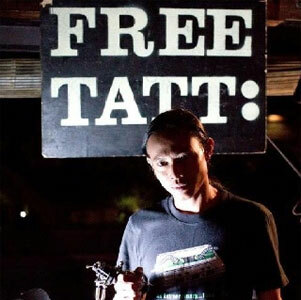 We are not kidding, enjoy tacos and get a free tattoo on Tuesday nights at Deus in Canggu! This is a fun place for the boys to kick back after a day of surfing or buck’s party fun! I’m sure the girls will have just as much fun too. Try their new and improved menu and extensive cocktail list. 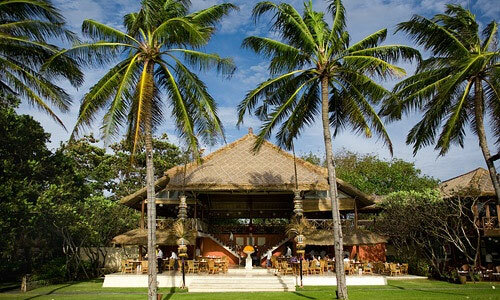 Without a doubt Merah Putih serves up some of the best Indonesian food on the island in an amazing setting. An stunning venue for romantic or pre-wedding dinners. 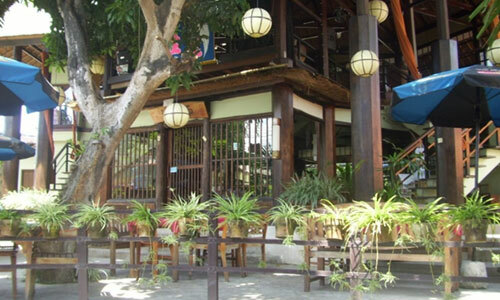 This traditional tea house serves delicious food from morning to night so it’s no wonder it’s always busy. 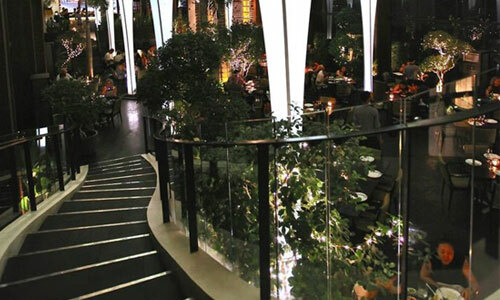 We recommend checking Biku out in the afternoon for one of their traditional or Asian high teas. Perfect for a day with your girlfriends! 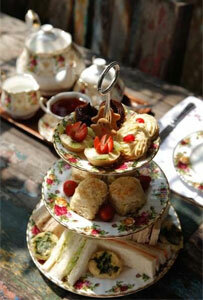 Enjoy finger sandwiches, strawberries and cream, mini quiches and sweet treats while you have your fortune told. 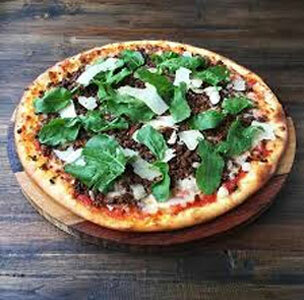 One of the best pizza joints on the island serving artisan pizza in flavours like pork and fennel. The cocktail list is just as original. 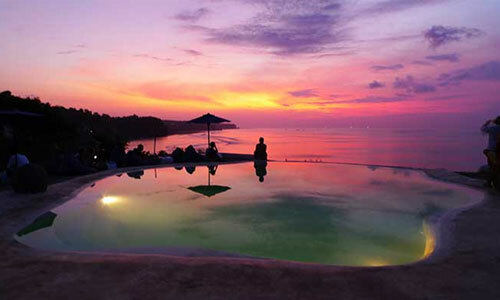 Open late, this is a great spot for after a full day of activities here in Bali. If you find yourself up in Ubud this is the place to eat! 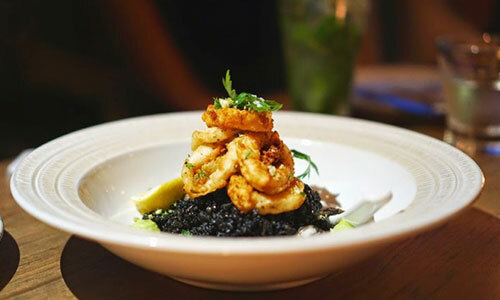 From the same owners as Mama San and Sarong in Seminyak, tanatalise your taste buds on upscale Indonesian delicacies. Pre-wedding, post-wedding, romantic or any other kinds of dinners are all the excuse you need to check this one out. Where else can you enjoy a roast dinner and buy jewels at the same time? Arguably one of the best roast dinners is served here on Wednesday nights and every weekend. A divine cocktail list will keep your whole party happy. One of award winning Chef Will Meyrick’s Bali based restaurants, Mama San is uber-trendy and a definite must try when on the island. This would be a fantastic option for a pre-wedding meal. 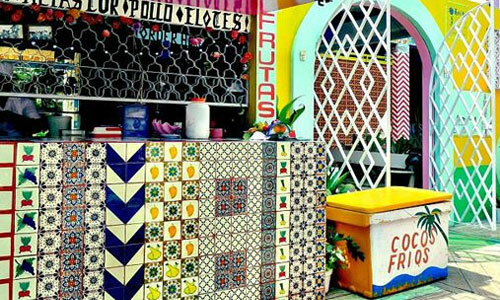 Great for the girls and the boys alike, this lively and vibrant spot is ideal for kicking back and enjoying a few margaritas, Mexican food and kitsch décor. A fun spot for a party!